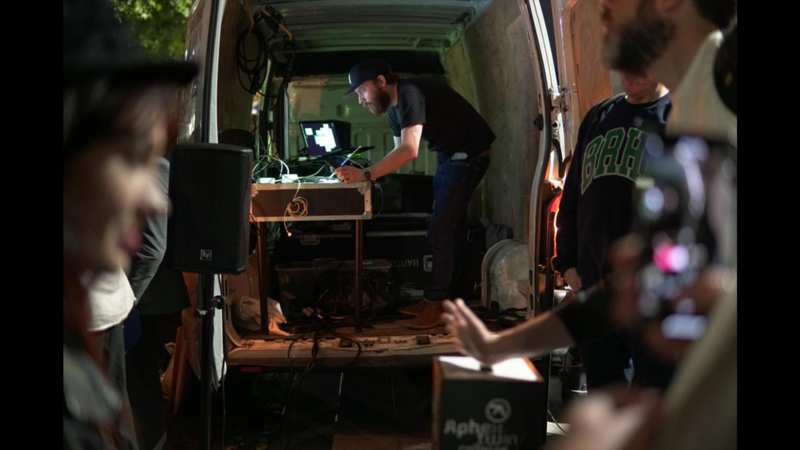 APHEX TWIN ACTIVATION BTS SEPT2018 from Stout Studio on Vimeo. UK electronic artist Aphex Twin is known for his evasive temperament and experimental production style. 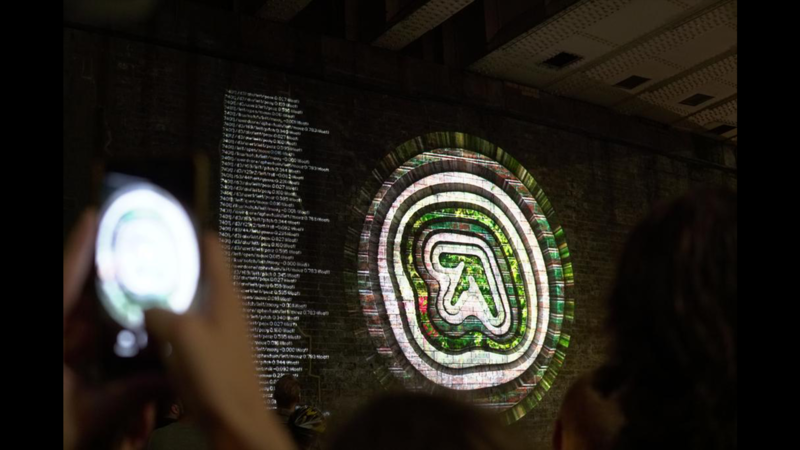 To promote the release of his new EP Collapse, Brotherhood Media approached Bluman Associates with a brief to create an outdoor activation projecting the EP’s artwork on buildings across London locations guerilla style. Bluman Associates are specialists in large scale projections and Stout Studios is their in-house content arm. Creative Director and Notch animator Lewis Kyle White guides us through what it’s like to create a fail-safe workflow for a risky guerilla installation. Taking Brotherhoods concept that step further, the creative team at Bluman Associates conceptualised an interactive activation, using Leap Motion and Notch: “The idea was that the audience would be able to interact with artwork by using custom designed plinths that house a leap motion and light up when the Leap detects the user’s hand”. Pre-production ran for four weeks with a small team lead by Lewis Kyle White and assisted by Alex Tennyson AKA TypeOne. Over the course of a few days, Stout and Weirdcore sat down and developed looks in Notch. They crafted unique visuals by combining assets from the Collapse music video and custom made content from Weirdcore, which were then manipulated in Notch. “Notch allowed us to rebuild in real-time and in some cases match the functional materials and effects seen in the music video, which was originally created in C4D and rendered in Octane. This level of close 3D cross-pollination with material assets and animated systems would have not been possible in other real-time interactive renderers”. Creating for a guerilla activation was challenging in terms of logistics, for the clients the whole operation was a risky endeavour. During pre-production, the team had to display to their clients that the concept delivery was foolproof. For the operation to be successful, Bluman Associates and Stout felt it essential to work with software which they had tried and tested as reliable and functionally fast. They chose Notch and Leap on the merits of successes in past projects. 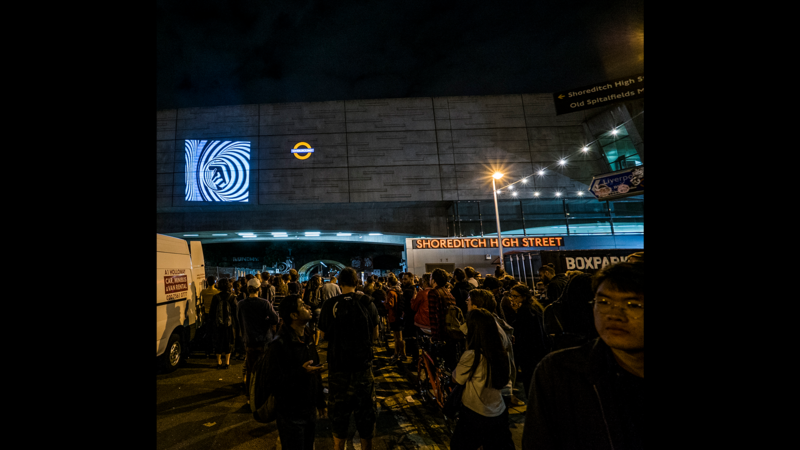 The team managed to project at every location without being caught and the installations were received incredibly well by the public. Hundreds of individuals participated and were captivated by the beautiful visuals and sensitive technology. “Being able to push the envelope and status quo of what a gorilla event can be was the real take-away for the all the team at Bluman Associates and us at Stout”.